The included recipes sounded great (shown above) but we tried them out in our own way, and (spoiler) we loved the results! 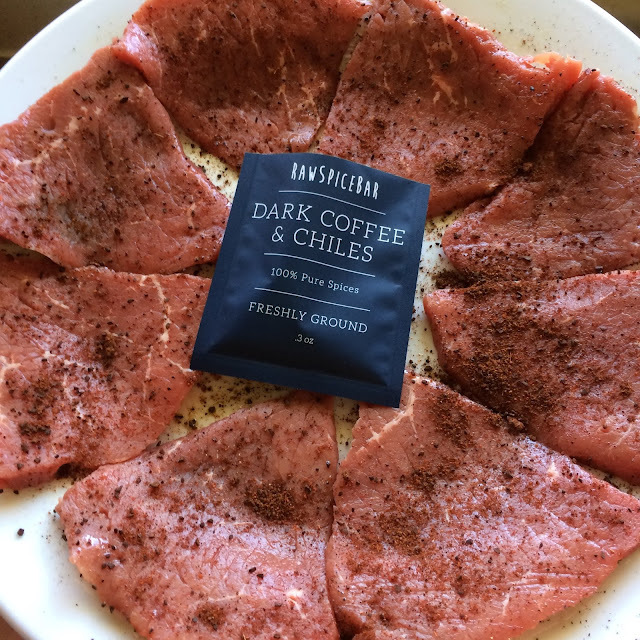 First we tried the Dark Coffee & Chiles blend, which we used as a dry rub on thin steaks. The coffee flavor was amazing - I was unsure at first, but even my husband asked to try something with coffee again. 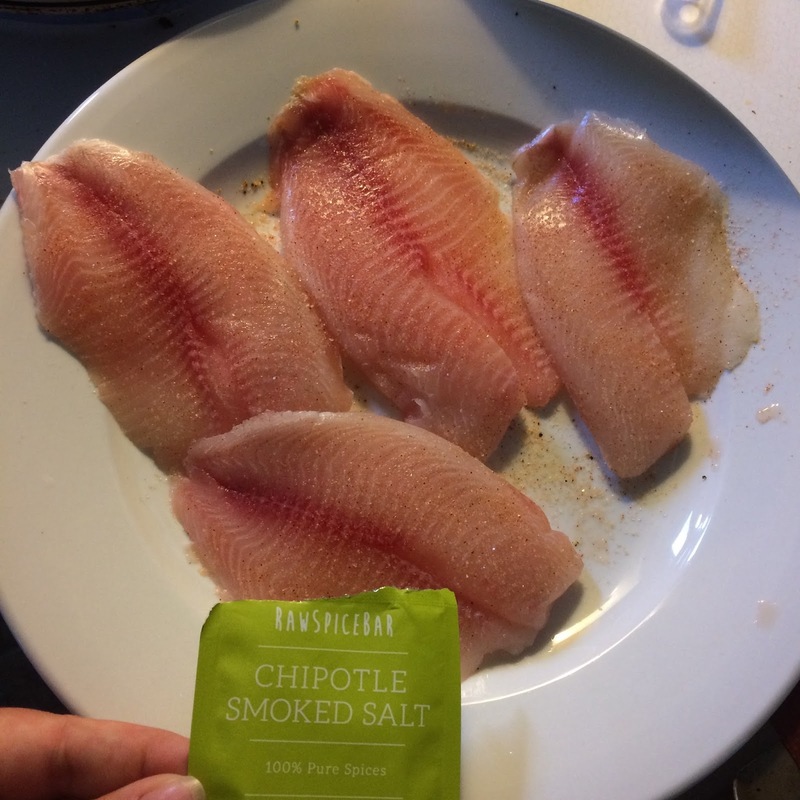 I seasoned some tilapia with the Chipotle Smoked Salt, and it gave it a smokey spicy flavor. We used the seasoning on half and our regular seasoning on the other half of the batch, and the half with the Chipotle Smoked Salt was eaten up much more quickly by the whole family. A real winner! Finally was the Sun Dried Tomato Pizza - which I admit was more difficult for me to come up with an idea for. Hubby did not want to try the pizza recipe included (as much as I thought it sounded tasty) so I had to do some thinking. He actually doesn't like pasta sauce very much - so my idea was to use it as a dry tomato sauce. 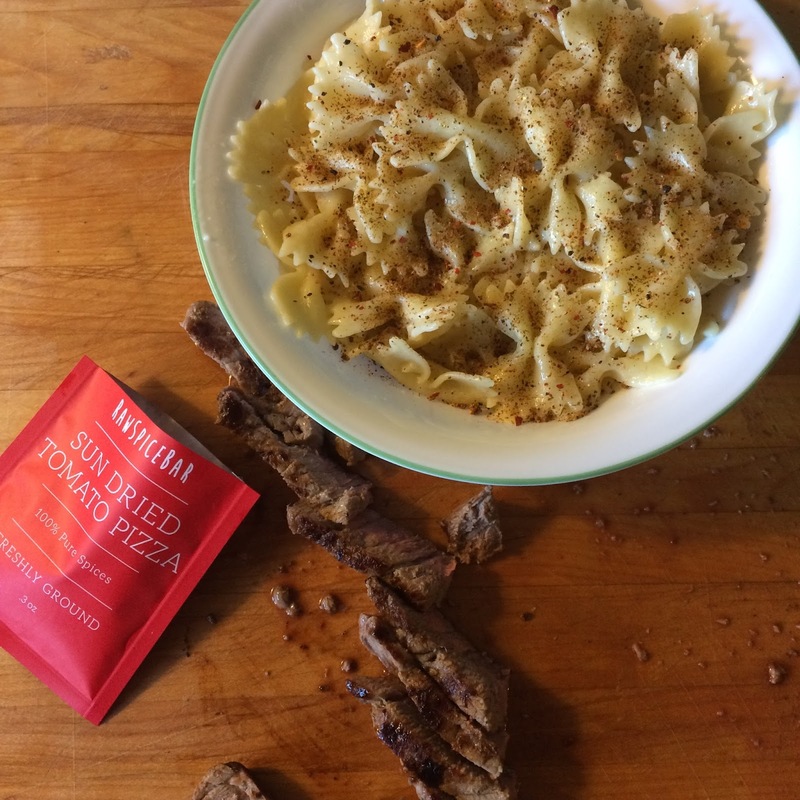 I made bowtie pasta and sliced steak on top, and sprinkled it with the Sun Dried Tomato Pizza spice kit, giving it an Italian tomato taste without the mess of red sauce. It was delicious! In my opinion, this monthly kit is well worth the cost. Spices are expensive, and when you want to try something new it can be difficult to try and piece the right spices together. 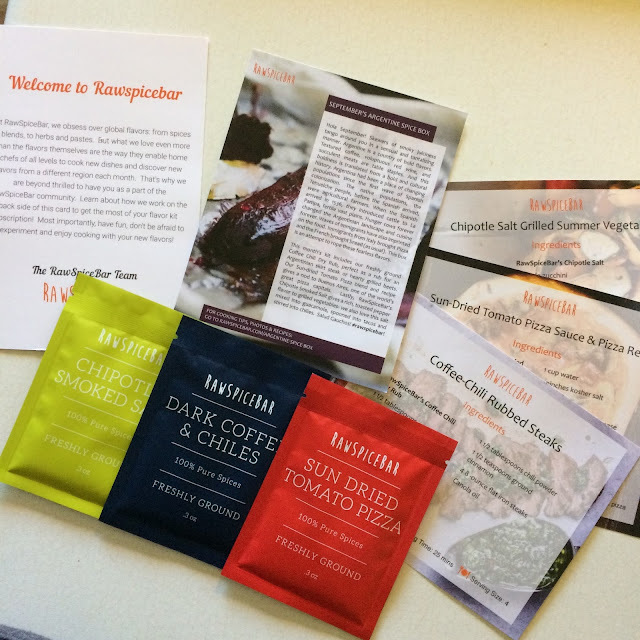 Raw Spice Bar is both affordable and easy to use - especially with the included recipe cards, you can make meal ideas even easier.